RUSH: Let’s go to Sal in Daytona, Florida. Welcome, Sal. Great to have you here with us. RUSH: — to stuff that matters? RUSH: Yeah. I read about it. I didn’t see it. CALLER: Well, if you get a chance to look at it, it would be pretty cool to get your opinion on that. I just thought it was an interesting clip. RUSH: Well, let me just guess. In terms of stature, Condi Rice was exuding it, and Pencil Neck looked like a pencil, right? RUSH: I’ll guarantee you that just in terms of owning the stage and stature, Condoleezza Rice is gonna wipe it with Adam Schiff. This guy’s on TV 227 times and still nobody knows who he is. Something else happened on that show with Condoleezza Rice that’s even bigger and more important than what she said to Schiff. The whole subject of gun control came up. Now, when this subject comes up on The View, you have to understand, these are brain-dead, unthinking robots that just utter and shout the dumbest and stupidest left-wing talking points, led by Joy Behar. And it’s all steeped in hate. So gun control comes up, and the Second Amendment and Trump and the NRA, and Behar and the rest of these gals, some of them just go off on the unusual talking points, gotta get rid of guns, da-da-da-da-da. And Condoleezza Rice, who’s African-American, calmly sitting there, said, “Let me tell you why I support the Second Amendment.” And she told a story of her childhood in Alabama. She lived on a cul-de-sac with other African-American families. It was a modest, lower to middle class neighborhood, it was an African-American neighborhood in Alabama, and routinely a chapter of the Klan would either ride through on motorcycles or in their cars and taunt and threaten and intimate and basically harass. She said that her dad, every time it happened, would grab his rifle and go out the front door and meet them on the street and fire his rifle in the air. And they would leave. And after a while, they stopped coming back. And there was dead silence on the set of The View. Maude Behar didn’t have a thing to say. The normally insane, raucous audience was silent except for the smattering of applause you could hear, much like what you describe when she told Schiff to do it or get off the pot. And it was very powerful. 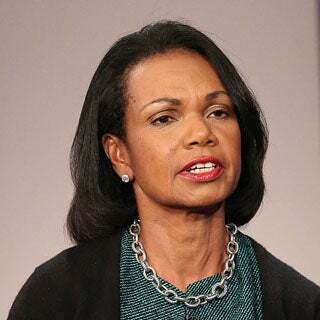 Here’s an African-American woman who has been treated the way the media and the left-wing treated her when she was secretary of state, making Aunt Jemima jokes about her and all that, and she maintained her dignity throughout all of it, and she just tells a true story about how her dad used a gun to protect her and her family from the Klan. And there was nothing Maude Behar could say. And it was a perfect illustration of why people who obey the law want, need, and use guns. It was pure self-defense, but it was also making a statement. It was a deterrent. It was everything. Didn’t have to shoot anybody. Just took the shotgun out, didn’t appear frightened in the face of the Klan, just aimed a shotgun in the sky and fired, until they left. And if they hadn’t had the gun, who knows what the Klan might have been emboldened to do. Anyway, there was nothing the left could say. And it was just a perfect illustration. Here’s a woman of impeccable integrity, who is not really known for being particularly partisan, if you want to know the truth. I mean, she’s served in Republican administrations. You know she’s a member at Augusta National, she plays golf? She’s a concert pianist, truly accomplished woman. She’s a proud member in good standing of the Horatio Alger Society, which is a group of people who honor others who come from literally nothing to become amazing successful contributing people. And there was nothing they could say. There was no way to react to her story and demean it or criticize it or impugn it. It was a very, very powerful thing. 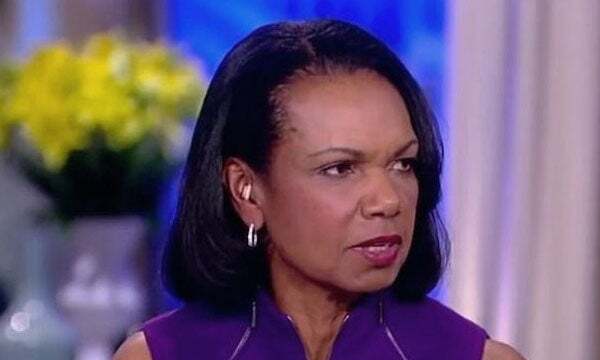 RUSH: Condoleezza Rice has — I’m pretty sure it’s Condoleezza Rice — Condoleezza Rice has said on a few occasions that the efforts to limit access to guns, the limiting of the Second Amendment in the early days was a policy of the Democrats to keep guns out of the hands of African-Americans. The Bull Connor days, the segregationists and the racists of the day were Democrats. In Martin Luther King’s day, it was Democrats opposing African-Americans, and they did everything they could to keep guns out of the hands of African-Americans, according to Condoleezza Rice.